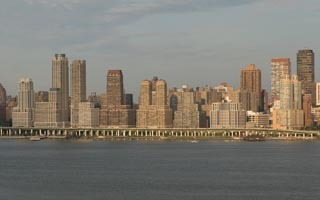 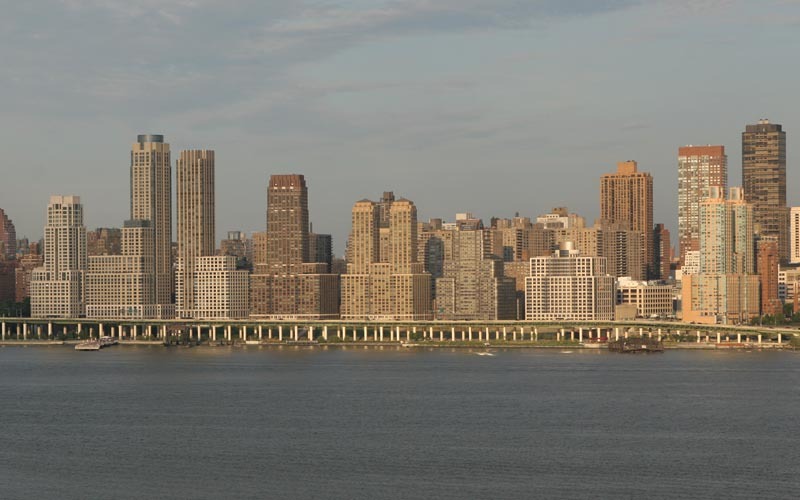 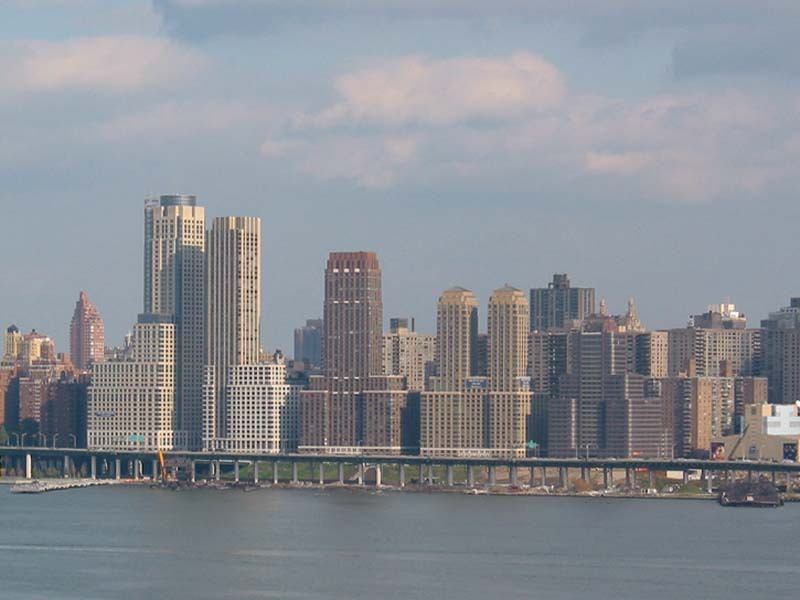 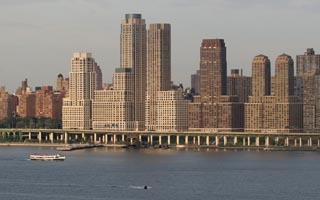 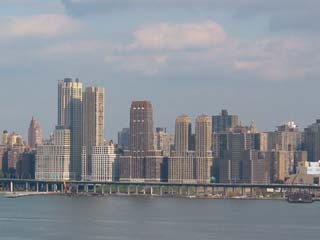 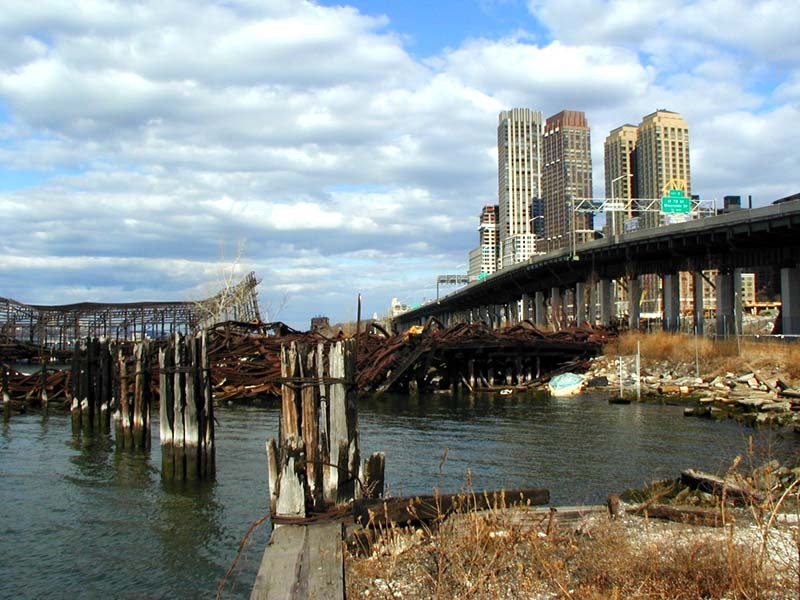 Panoramic view of the Trump Place from Weehawken in August of 2005. 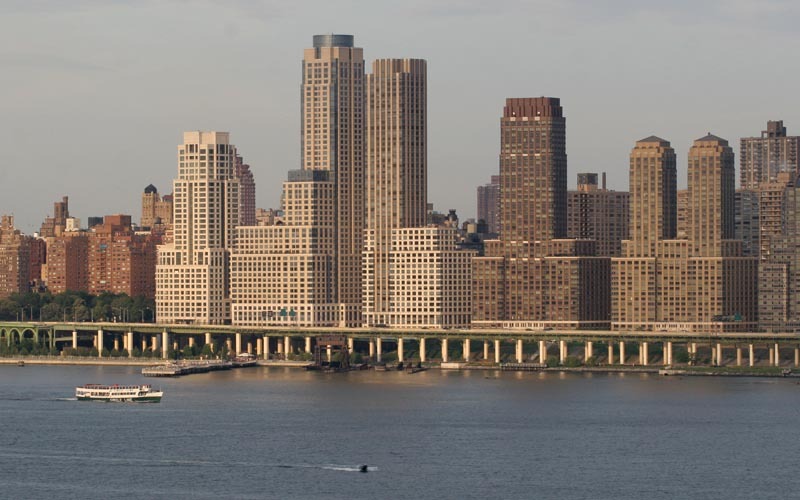 Trump Place and Circle Line boat. 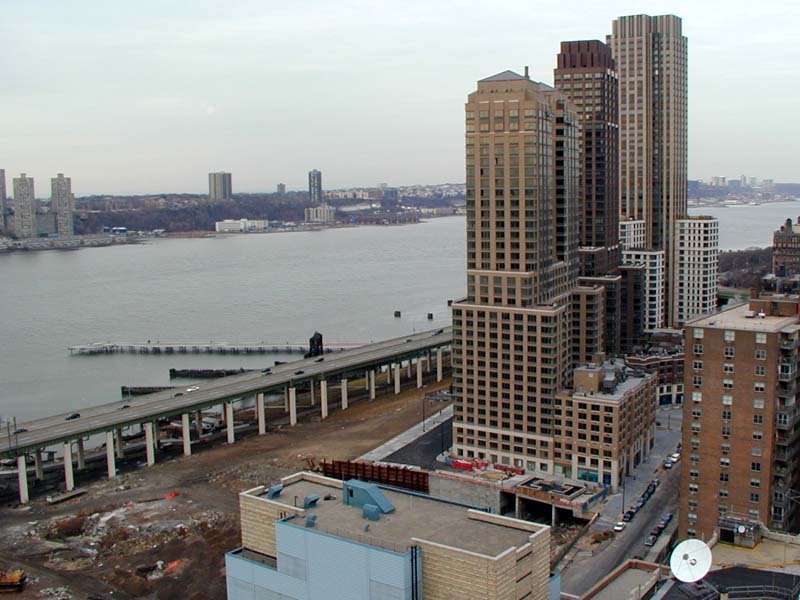 The view of the Trump Place from Weehawken in October of 2002. 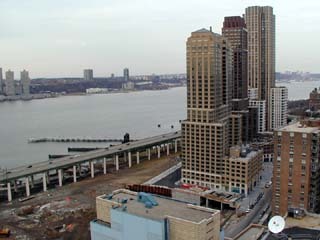 The view on the Trump Place from the 101 West End Avenue apartment house in February 2001. 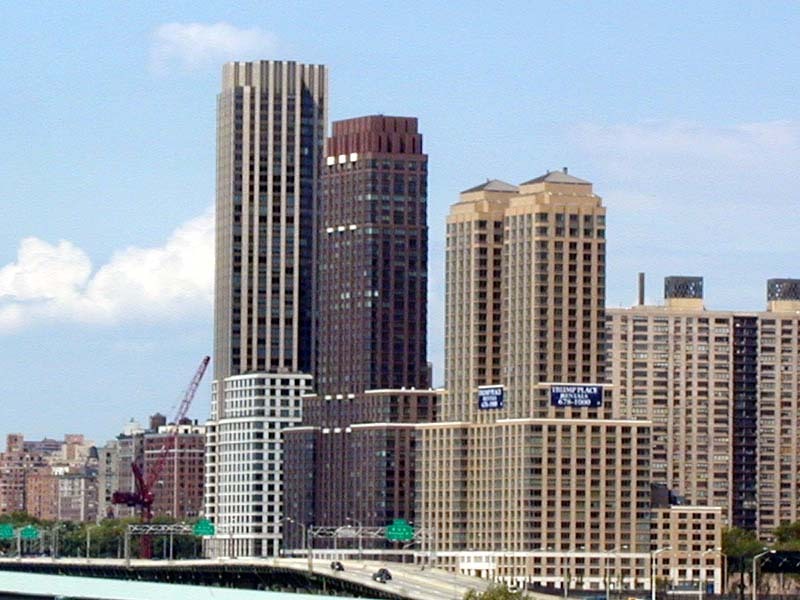 The view on the Trump Place from New York Passenger Ship Terminal in June of 2001. 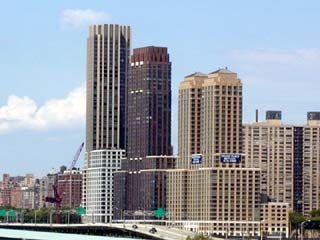 The view on the Trump Place from the Riverside South Park. 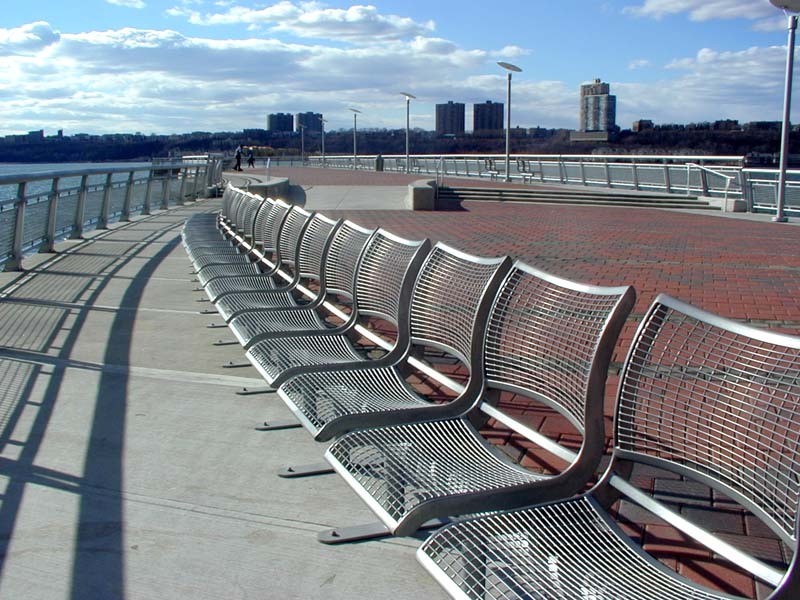 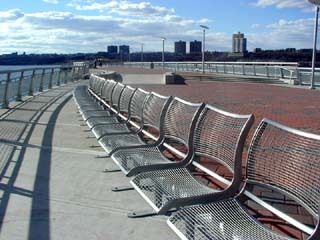 The view of the riverfront pier that extends 750 feet out over the water and culminates in an observation deck.